In April of 2015, a devastating earthquake hit Nepal and left many homeless. Across the world in Durham, NC, Spoonflower’s own Anitha Kothandaraman wanted to do something to help. 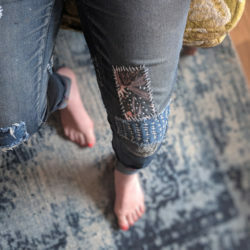 Anitha came up with the idea that the employees of Spoonflower could use its resources of remnant fabric and energetic, creative employees to sew blankets for Nepal. 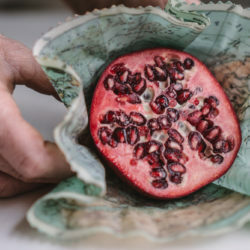 Just like that, Spoonflower’s Blankets for Good program was born. Meredith, Spoonflower’s Community Outreach organizer, sews a RARE Bear to be given to a child living with a rare disease. In the year since that first sew-in we have sewn blankets for orphaned babies in India, Softies for Mirabel for children affected by parental substance abuse in Australia, and still more blankets for those without homes in our own local community served by the Interfaith-Council for Social Service. We have sewn blankets to donate to the Raleigh chapter of Project Linus and pouches for orphaned marsupials for Wildcare Australia. In the past month, we have sewn RARE Bears for RARE Science to go to children living with rare diseases and pennants to decorate a community teaching garden in downtown Durham. I think Timothy is right about what draws us to these projects. We all need, at times, to feel recognized and comforted. Providing that for someone else, even if that someone is all the way across the world, even if that someone is a kangaroo, feels extraordinary and important. 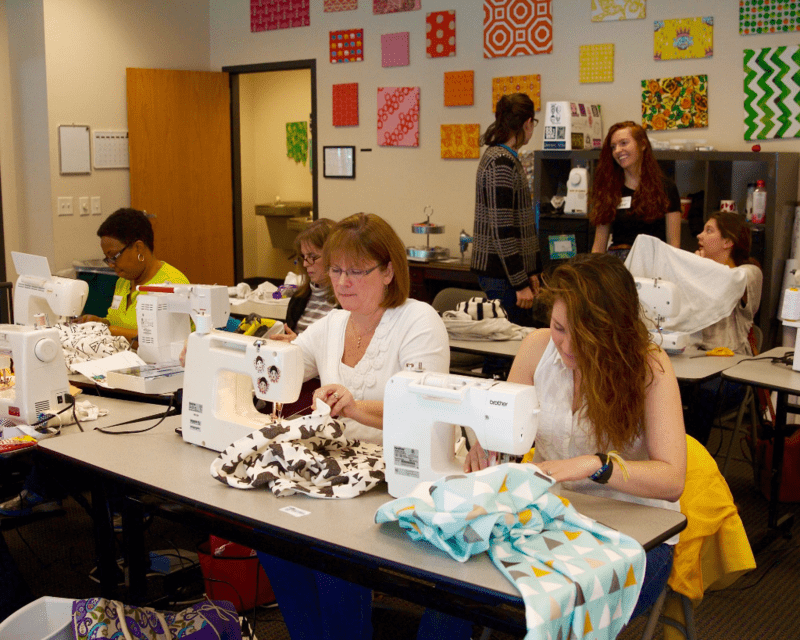 Spoonflower employees and community volunteers work together at a Spoonflower sew-in for Project Linus. “When I choose fabric for a blanket, I think of what child will receive the blanket. If I choose a fleece print with basketballs, I know that a child who is a sports fan will have a big smile on his or her face. What always surprises me is how generous people can be and the generous amount of time our blanketeers give: whether they are sewing, crocheting, knitting , sewing on labels, or picking up donations. Project Linus blankets sewn from Spoonflower remnant fabric will go to children in need all over the Triangle! The work of dedicated people like Deanna transforms the blankets we make in our sew-ins to good for those in need! We are so grateful to have so many wonderful organizations full of inspiring employees and volunteers that enable us to give back to our local and global community. If you live in the Triangle area and are interested in our community sew-ins, keep an eye on the Spoonflower Greenhouse page for our calendar of events! If you aren’t in our area but would like to volunteer or donate to your local chapter of Project Linus, you can find out more at the Project Linus Chapter Listings. 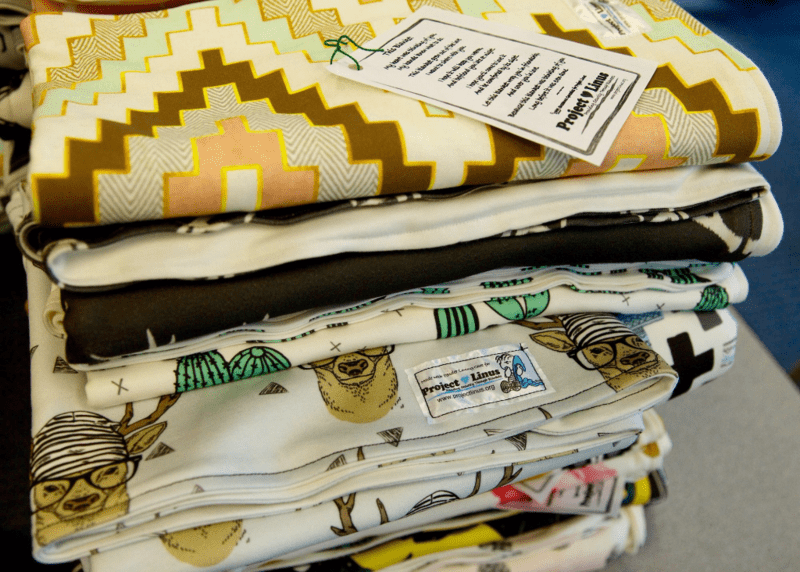 Already using Spoonflower fabric to give back to your community? Comment and tell us how! Amy was born and raised in North Carolina and got her degree in American Studies from the University of North Carolina at Chapel Hill. 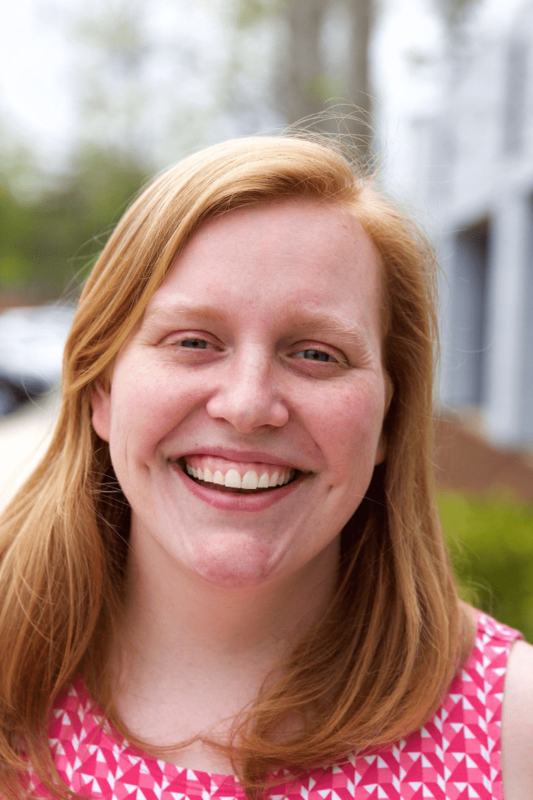 In addition to writing for our blog, she works on the operations floor at Spoonflower processing and shipping orders. Outside of Spoonflower, Amy’s main loves are comedy and her dog Ralphie. Amy performs and teaches improv comedy as often as she can. When she gets the time, she also loves to cook, quilt, paint and dance.